Building business credit creates more financial opportunities for your business. Banks, lenders, and other suppliers all rely on business credit reports to assess the creditworthiness of your company. According to the Small Business Administration, 46 percent of businesses used personal credit cards for business expenses. This statistic shows that many businesses fail to separate business and personal expenses, which is necessary to establish business credit. Why should I use a business credit card instead of a personal credit card? Business credit acts as your business’s financial reputation. If you can borrow money as an individual, why go through the trouble of borrowing in the name of your business? Job satisfaction isn’t something we tend to naturally associate with the position of customer service representative—which is why the team at Kars4Kids is worth a closer look, even if your business doesn’t have a dedicated customer service department. Burnout isn’t a foregone conclusion for the team working phones at this nonprofit car donation program. One of the reps has, in fact, been with Kars4Kids for seven years. The manager of the customer service team has been on the job for 11 years. That’s an incredible record, considering the data. These are dedicated customer service people; their sole responsibility is to interact with customers. In general, just how bad is the burnout associated with people who work directly with customers? The turnover rate should give you some idea. Back in 2013, turnover for customer service representatives was running at an incredibly high 30 to 45 percent, whereas the average turnover rate of employees for all industries in the United States was 15.1 percent. Researchers have struggled to understand what might help prevent burnout. More money? Job security? Because if we could only help our customer-facing teams feel good about what they do, the theory goes, it’s likely they’d stick around longer and generate more customer loyalty. There’s generally a limit, on the other hand, to how much an organization can pay people in those roles. That means you’re going to have to find a different way to satisfy those employees so they won’t walk out in a huff. One research trial found that more important than the money, more important than job security, is that the team member sees himself as “playing a positive role within the wider organization.” Managers can help with this by keeping the team well-informed about the organization’s mission, even in for-profit companies. The manager can also convey to team members that they are valued and that their contribution is important. Finally, if reps feel they’re benefiting from company practices, they are more likely to feel good about their place of work and stick around a spell. Preventing customer service burnout, in other words, is about attitude. Team member attitude can be influenced by how well management keeps the team in the loop about the bigger picture. At Kars4Kids, this means sharing stories with the customer service team of kids helped by the organization. The customer service representatives come to know that each car donation represents another child mentored, or a scholarship to TheZone, a summer camp focusing on the personal growth of the campers. Doing business taxes can be difficult for new entrepreneurs. 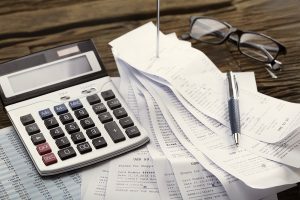 In this article, I’ll share smarter and faster ways to record your expenses and keep track of your receipts and other important documents for your taxes. Each of these tips is easy to implement and should help make tax time a breeze! One of the things that many small business owners struggle with is staying on top of their bookkeeping throughout the year. If you don’t use an accounting software like QuickBooks or Xero, you are setting yourself up for failure come tax time. I’m a CPA and believe it or not, I use QuickBooks to do my books and prep myself for tax season. This makes it so much easier and ensures that you keep accurate records of your income and expenses. If you find yourself always in “catch-up” mode when it comes to your books, then you must invest in accounting software. Expense categories are just a way to group purchases that you make for your business. For example, office supplies, restaurants, and gasoline are expense categories. They can help you better track vendor expenses rather than setting up each and every vendor for everyday purchases. The reason is that it will allow you to enter expenses faster. This will save you time and it will allow you to only keep track of the most important info required for tax purposes. This article is part of both our Business Startup Guide and our Business Planning Guide—curated lists of our articles that will get you up and running in no time! If you’ve reviewed what a business plan is, and why you need one to start and grow your business, then it’s time to dig into the process of actually writing a business plan. In this step-by-step guide, I’ll take you through every stage of writing a business plan that will actually help you achieve your goals. And, if you’re just looking for a downloadable template to get you started, you can skip ahead and download it now. Whether you’re trying to raise money for your business or are developing a plan for strategic growth, a solid business plan is a key component to every successful business. Business plans should be short and concise. 1.First, you want your business plan to be read (and no one is going to read a 100-page or even 40-page business plan). 2.Second, your business plan should be a tool you use to run and grow your business, something you continue to use and refine over time. An excessively long business plan is a huge hassle to deal with and guarantees that your plan will be relegated to a desk drawer, never to be seen again. Write your plan using language that your audience will understand. For example, if your company is developing a complex scientific process, but your prospective investors aren’t scientists (and don’t understand all the detailed scientific terminology you want to use), you need to adapt. Accommodate your investors, and keep explanations of your product simple and direct, using terms that everyone can understand. You can always use the appendix of your plan to provide more specific details. The vast majority of business owners and entrepreneurs aren’t business experts. Just like you, they’re learning as they go and don’t have degrees in business. Writing a business plan may seem like a difficult hurdle, but it doesn’t have to be. If you know your business and are passionate about it, writing a business plan and then leveraging your plan for growth will be not nearly as challenging as you think. And, you don’t have to start with a full, detailed business plan that I’m going to describe here. In fact, it can be much easier to start with a simple, one-page business plan—what we call a Lean Plan—and then come back and build a detailed business plan later. “You have two minutes to convince me why I should invest in your company,” my professor said. About seven years ago I delivered my first pitch. I was a sophomore in college back then. Never had I ever imagined I would spend three consecutive weeks practicing for a two-minute presentation. I was scared to death. My brain was so exclusively focused on this presentation that I didn’t even ask or think why I was experiencing that much worry for a class assignment that meant to simulate a Shark Tank-like pitch. I did well, but most importantly, from all my research and mentor meetings, I learned a very important lesson: Nobody is born confident. Even the most successful speakers and leaders lack confidence at certain times, but anyone who is willing to work on it can master it. Today, I speak about entrepreneurial confidence; about what it takes to have faith in your own decisions and actions to execute on your ideas. These strategies will help get you there. How bad could it be? Lack of confidence is often a fear of failure. Overcoming it starts with figuring out what the problem is. Identifying the possible negative consequences of our decisions and entrepreneurial initiatives and then naming their potential solutions reduces uncertainty and increases confidence. When I was in college, everyone I knew—family, friends, professors and academic advisors—asked me to wait until I earned a degree and gained experience working for an established business before starting my own. When I asked why, they talked about security and return on investment from my college years. They talked about the importance of having a plan B and how I still had the time to pursue my passion in the future. Should I Open a Franchise or Start a Business? The feelings of ownership and fulfillment that come with entrepreneurship are only beaten by the rewards that pay out if your venture succeeds! But there are drawbacks, too—namely a lot of work and risk. It’s because of these pros and cons that so many ask the question: Should I open a franchise or start my own business? There’s no blanket answer because you need to consider several things before taking the next step. After starting Kenneth Burke Media and getting into the tech startup scene with Text Request, I have a good idea of what it takes to start your own business. Thankfully, I also work closely with Julie Batycki, VP of Operations and Development for Educational Outfitters. They’re the nation’s number one school uniforms franchise and two-time winner of Franchise Business Review’s Best Franchises to Own award. She knows a thing or two about opening franchises, and together, we came up with a set of questions to help you see if starting a business or opening a franchise is better for you. What are you hoping to get out of business ownership? There are several reasons you might want to own a business. Imagine waking up every day and working on projects that challenge, inspire, and fulfill you. It’s something you’ve envisioned for a long time—the dream of creating a life you love based on doing work that you can truly take ownership of. You know that to get there, you need to be self employed. The prospect of this is both thrilling and terrifying—so much so that taking those first steps feels like an insurmountable challenge. However, you’ve decided that you’re ready to rise to that challenge; you just need a road map. We’ve created a free checklist to help you navigate through the process of self employment. Should You Build a Mobile App or a Website for Your Startup? Website, web app, or a mobile app—what would be the right “form” for your business idea? Since the release of the very first iPhone, everyone has been treating the mobile-first business model as the new gold rush. Some, on the contrary, say that the modern user is already experiencing app fatigue and that people tend to use just three apps at most, so competing for desktop attention still remains easier. As a new business owner, you may be overwhelmed by the choice. Will your product serve better as a mobile app (which offers a better experience on mobile, yet needs to be installed and can be deleted on a whim), or a web app (immediately accessible at any time, yet less simple to navigate from a handheld gadget)? Some high profile businesses have heavily invested in their “mobile-first” experience (Uber, Instagram, Zomato Order), while others (Airbnb, JIRA, InVision) deliberately chose to stick with the web app version. 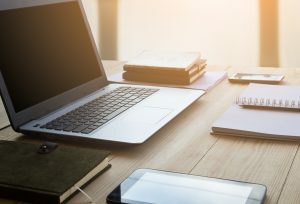 In the course of this post, we’ll specifically talk about the cases when you should build a mobile app—a product that is specifically designed to run on smartphone, tablets, and wearables and requires installation; or a web app—a client-server software application that runs in the browser (both desktop and mobile). We’ll look into the reasoning behind the decision between these two options, and guide you toward the optimal choice for your product idea through a series of questions. 1. What is your product goal? You are about to launch a new offering. Of course, you have specific business goals in mind, apart from merely making profits and changing the world. To clarify your goals and next steps, you’ll want to validate your idea, and research your target market and their behavior as it relates to your specific product idea and in terms of the way they consume information online.